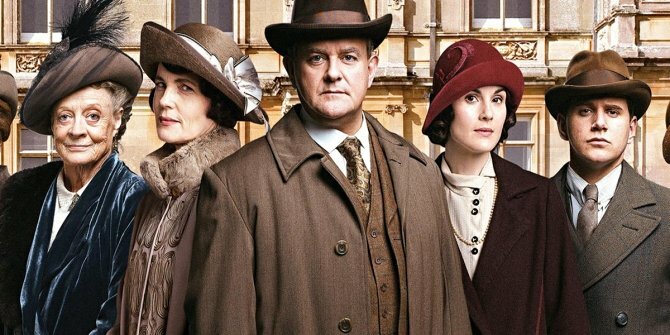 The Crawley family is headed to the big screen, as the long-rumored Downton Abbey movie is officially a go. That’s the news that almost brought the internet to a standstill last month, when the producers behind the series announced a summer start date and confirmed that most, if not all of the original cast – Dame Maggie Smith, Michelle Dockery and Hugh Bonneville included – will be making their return. Series creator Julian Fellowes is the brains behind the film’s script, and we understand he’ll co-produce this period drama alongside Gareth Neame and Liz Trubridge. Plot details are practically non-existent at this early stage of the creative process, which is totally understandable, but Downton fans can at least rest assured that, yes, one of TV’s greatest ever dramas is about to receive the send-off it deserves. And not only that, but it seems as if there are going to be a heavy helping of newcomers involved. Deadline is reporting that Imelda Staunton, Geraldine James, Simon Jones, David Haig, Tuppence Middleton, Kate Phillips and Stephen Campbell Moore have all boarded the project this week. Details on who they’re playing haven’t been revealed, but they’ll join what’s already a stellar ensemble, one that may make room for Dan Stevens as Matthew Crawley as well. It’s going on three years since we bid adieu to the residents of Downton Abbey, and ever since, talk of a full-blown film has only gained more and more momentum, eventually leading us to the moment when ITV made things officially official. Brian Percival, whose credits include The Book Thief and About A Girl, and who directed the series’ pilot, will helm the feature when it premieres sometime in 2019, and as soon as we hear more from the Abbey, we’ll be sure to let you know.